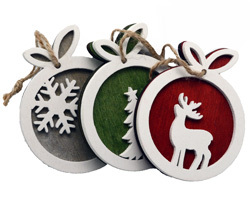 Beautifully presented wooden trinkets in Christmas colours. 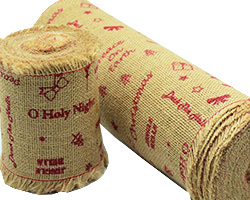 Conveniently packaged in re-sale packs of 6pcs. 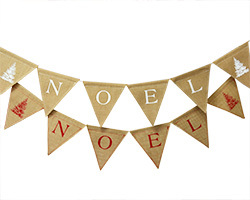 Back by popular demand - the NOEL bunting. 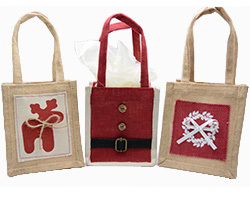 Available in red or white printing. 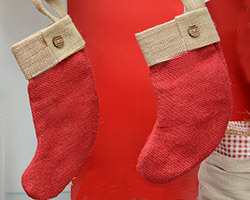 Our popular Christmas stocking in a mini size for smaller Christmas treats. 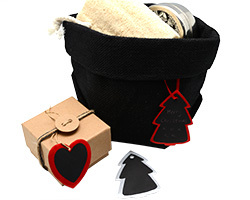 Available in Red with a contrasting natural cuff for added colour. 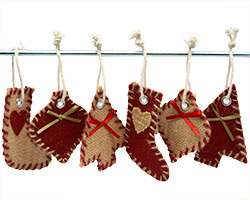 Who can resist a Christmas stocking filled with goodies? 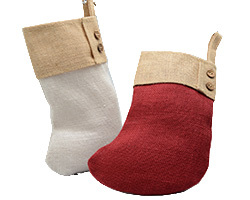 Available in white and deep red with a contrasting natural cuff for added colour. 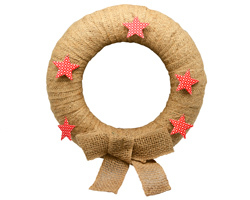 A Christmas wreath wrapped in jute ribbon. 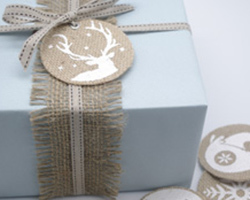 A perfect starting point to decorate or simply leave as it is. 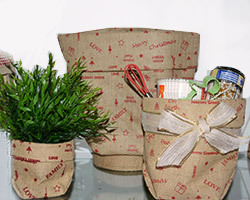 Our popular jute sacks available in a Christmas print perfect for Christmas hampers and packaging needs. 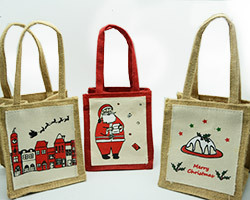 Popular jute tote bags in terrific Christmas designs. 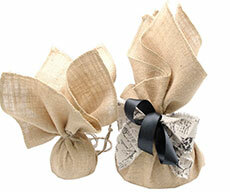 Natural jute squares with over-locked edges available in two convenient sizes. 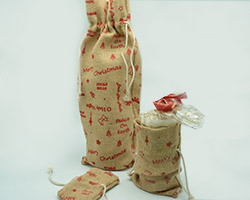 Ideal for wrapping that Christmas pudding or using as an effective Christmas decoration. 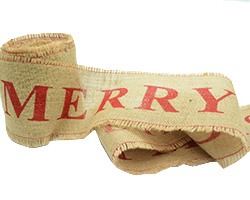 A wide jute ribbon with MERRY CHRISTMAS printed over its length. 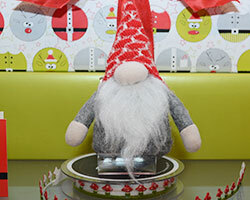 A great centre piece for any Christmas display.